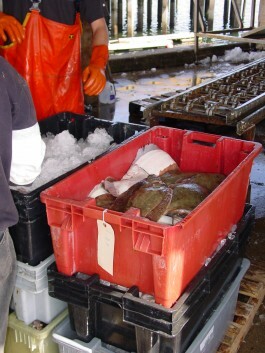 Established in 2002, the Northeast Seafood Coalition, commonly referred to as NSC or the Coalition, is a non-profit organization representing commercial fishing entities in the northeastern United States on political and policy issues affecting their interests as participants in the groundfish fishery and the Sector program in the Northeast multispecies groundfish fishery. The work of NSC is geared toward crafting real solutions to complex fishery problems. NSC strives to find creative solutions that work to rebuild fish stocks while preserving family-owned fishing businesses and a diverse groundfish fleet. The work of the NSC is unique because it is based upon an understanding that members of the organization are a functioning part of a greater whole, and, therefore, developing a strong and healthy fishery requires a holistic and integrated approach to management. Today, the NSC is widely known and highly respected in the complex fisheries management process for crafting innovative solutions for the entire groundfish fishery that promote sustainable fishing, fairness and equity, and strong fishing communities. Because our membership is so diverse, especially since the inception of sectors, we carefully and methodically craft solutions that will aid our members. The organization employs two full-time staff and one part-time staff, and has two consultants. Its monies derive from members’ dues and fundraisers throughout the calendar year. To help support NSC in fulfilling its mission, please contribute or become a Friend of the NSC today! The Northeast Seafood Coalition is dedicated to working with government regulations and environmental concerns to preserve the long-term health of fishery resources, fishing communities and the fishing industry. For the past decade, NSC has worked in the policy process in efforts to help develop rules to rebuild the northeast groundfish fishery. NSC works for rules that embody real solutions to complex fishery problems. NSC works within the public process established for fisheries management. NSC leaders participate and engage in industry meetings, like those held by the New England Fishery Management Council, NOAA Fisheries Service, and states in the Northeast region. Our Board of Directors works hard to represent the organization’s diverse membership through the careful development of solutions to complex fisheries problems. NSC’s organizational structure and policy positions are carefully considered and vetted through the NSC Board, NSC staff, consultants and—when appropriate—external counsel. NSC members fish from small and large ports all along the northeast coast line—from southern Maine to New Jersey. Our members concentrate fishing efforts in the Gulf of Maine, Georges Bank and Southern New England; therefore NSC concentrates its efforts on northeast fisheries management. However, we’re constantly working with colleagues and partners across the country and world to effectively represent our members.